We were sent the Amazing! Magazine to review. Amazing! magazine is a children’s fun and educational magazine based on the primary national curriculum. It is written for both boys and girls aged 7+ to enjoy. It covers a range of subjects such as, Maths, English, Science, History, Geography, Arts, and Foreign Languages. It is a monthly publication with 36 pages packed with articles and facts displayed on bold, bright pages with eye catching illustrations. The articles feature a range of different ways for the children to enjoy Amazing! magazine, from debates, poetry, activities, puzzles and Jokes. There are some great facts in there that I didn’t even know! One thing I really liked that the Amazing! magazine featured inside were some craft ideas and recipes too. My children love crafts and love baking so I was pleased to see these two articles in the magazine. 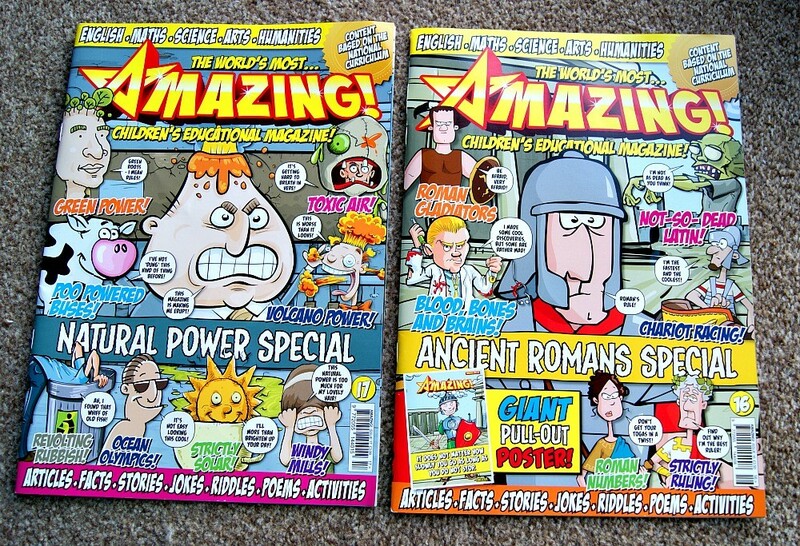 The publishers of Amazing! magazine have taken into consideration what children of this age may enjoy reading about such as, zombies, and aliens and linked these humorously to compliment the national curriculum. It is a fab idea to get children laughing and learning at the same time. It says it is for ages 7+ but my two year old son loves me reading to him so I sat down with him to read this too and he loved it. He asked me about all the illustrations and laughed at some. He especially liked the recipes in each magazine and is very keen to try these out. Amazing! magazine is £3.99 per issue and if you fancy subscribing to the magazine then you can get a 10% discount by quoting WOW10 at the checkout. 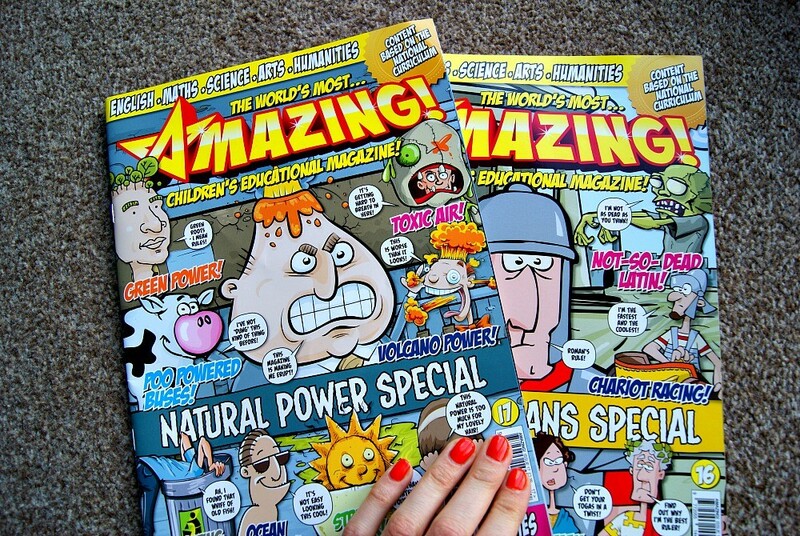 An annual subscription of Amazing! magazine is just £49 for 12 issues. Digital subscriptions are also available from iTunes, GooglePlay and Kindle Stores for £23.99. There are discounts available for teachers and schools! You can follow Amazing! magazine on Twitter, Facebook, or subscribe to their mailing list if you would like. We have teamed up with Amazing! Magazine to give away a copy of the next issue to 10 of my lucky readers. All you need to do to be in with a chance of winning is complete one or more entries on the Rafflecopter below. *We were sent the Amazing! magazine to review. I really like that it has a bit of everything from poetry to puzzles. My little one love it. That magazine looks fab! Something my girls would love to have. My kids love comics and always purge me to get them one whenever we are in the supermarket. Not seen this one though. I will have to check this out for my 7 year old – she loves reading and magazines but will run a mile from anything that is too overtly educational! Thanks for sharing. 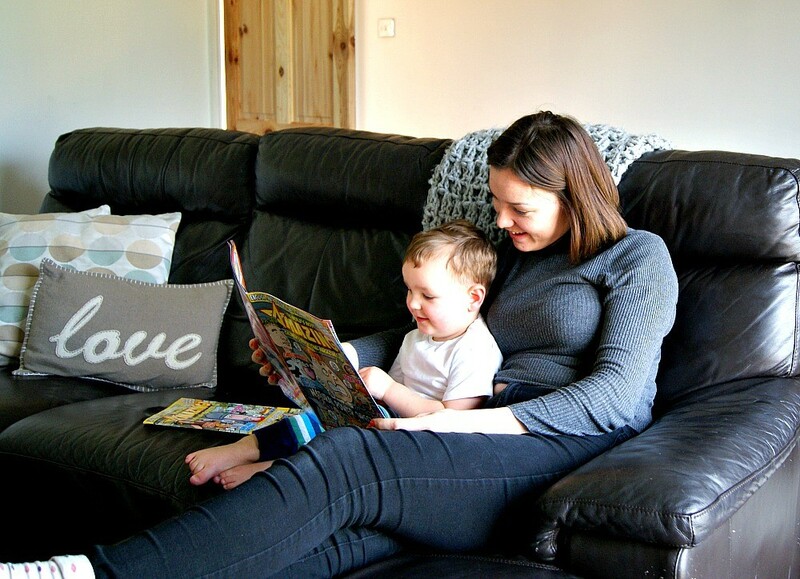 Mrs H recently posted…How many children do I have? I would give it to all 3 of my children as I think all my kids would love it.